Pick 'n Pay chairperson Gareth Ackerman said on Monday that while South Africa was not over the worst yet, the country was heading in a distinctly more optimistic direction. Ackerman described employment as the country's "number one priority". "In just about every public survey, the number one priority for South Africans is employment. It’s not difficult to see why: with job security comes dignity, the ability to chart your own future, provide for your family and play a meaningful role in the economy," he said in a statement issued after the company's AGM. Ackerman said that in the past three years, the company had invested R5.3bn in opening and refurbishing stores and building its supply chain. By doing so, Pick 'n Pay had been able to create almost 14 000 net new jobs. It aims to more than double this figure in the next three years, he added. Pick 'n Pay [JSE:PIK] is one of Africa's largest retailers, with 1 628 stores [968 corporate, 660 franchise]. It has supermarkets in Zimbabwe through its investment in TM Supermarkets, and also has a footprint in Namibia, Swaziland, Botswana, Lesotho and Zambia. Ackerman welcomed the President’s initiative to get companies to focus on creating jobs. "We hope that with the focus on foreign investment into South Africa, it is not just replacement capital, but new investment into the economy. "Local companies need to be recognised and incentivised to increase their investment and create jobs." 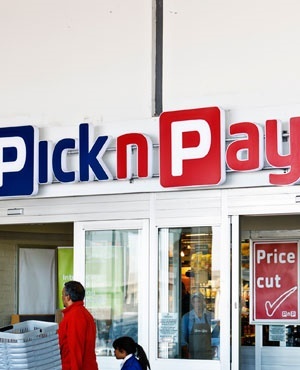 Pick 'n Pay works with suppliers throughout Africa, and Ackerman said this would open more employment opportunities over the next three years as the company seeks to create another 15 000 new jobs. "This will bring many young people into the world of work and the opportunities that retail provides to build a career and progress in the world," Ackerman said. "But the company’s impact is far wider: we work with about 10 000 suppliers, and last year spent nearly R68bn with them. This provides employment to more than 400 000 people. "In total, we believe at least 1 million people are directly affected by Pick n Pay by way of employment." Employment could help stabilise the country long-term, he argued. "Getting South Africans to work should be the top priority of any business looking to the long term stability of our country. It’s a worthy goal for all of us in the corporate sector," said Ackerman. Franchises are another important way to contribute to economic activity, Ackerman said. In Pick 'n Pay's case, he said, "nearly a third [...] are black owned and nearly 40% are either Exempted Micro Enterprises or Qualifying Small Enterprises." Some 21 000 people are employed by Pick n Pay franchise owners, he said. Franchisees play a "critical role" in promoting the growth of small suppliers, he argued. Ackerman said the company was working with the Consumer Goods Council of SA and the Department of Trade and Industry to talk about better recognition for these small businesses and franchisees on the BEE scorecard. Because they are individually owned, they do not currently contribute to the company’s BEE score. "Sustainable solutions to waste management require all parties involved – retailers, government, plastic manufacturers, consumers and recyclers – to work together collaboratively. "We reach into almost every South African home. That gives us a special responsibility to lead positive change where we can." Plastic bag tax could make a positive impact if it were used wisely, he said. "We are encouraging government to spend the money collected from the plastic bag tax where it was intended. Too often, additional taxes are levied on products – from plastic bags to sugar to petrol – which simply wind up in the general fiscus. "The impact of these taxes is often not well thought through. This can lead to ripple effects and unintended negative consequences throughout the economy." Ackerman said the company had made good progress in meeting its global commitments to the international Consumer Goods Forum Agenda. All its new and refurbished stores are being fitted with more natural refrigeration systems. It had also introduced a new online system to collect data from suppliers on their palm oil and soya sourcing and use. Pick 'n Pay shares were trading at R73.16 at 10:38 on Monday morning, down 0.04%.